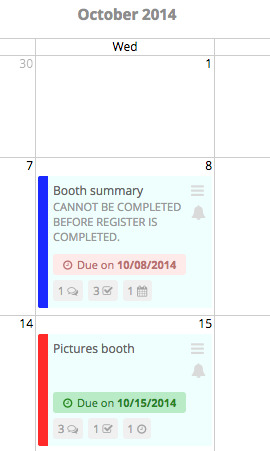 The project management add-on allows you to set a due date for each entry and manage project planning by using the events calendar located in each project entry. 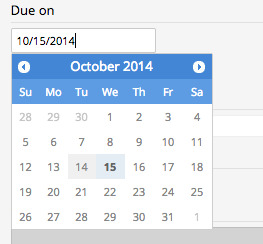 If you set due dates, then you can display your project in a calendar view, ideal for evaluating the progress of your project over time. 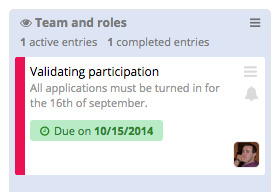 Your entry will display your due date. 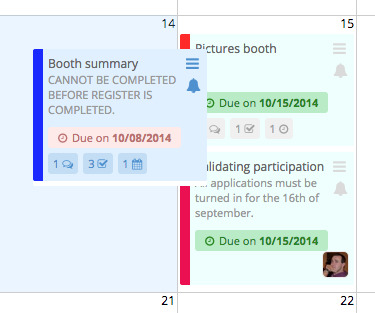 Green means programmed in the future while red means you are late for the event. 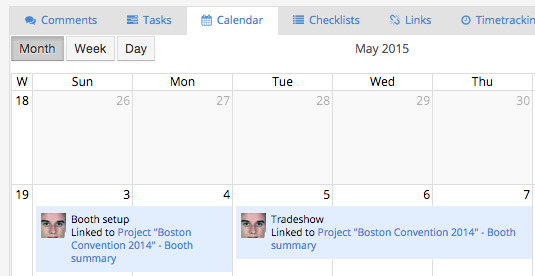 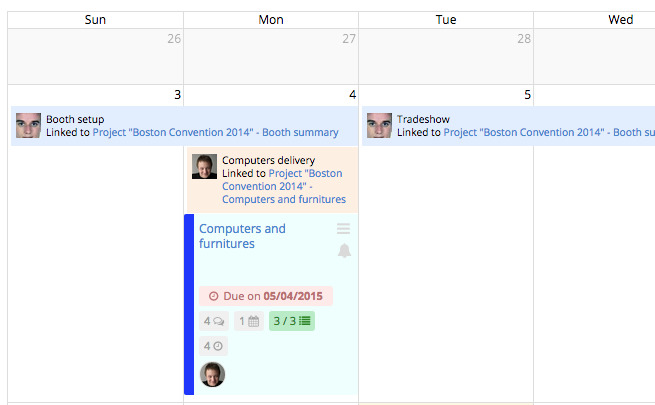 In each project entry, you will find a calendar where you can define events.